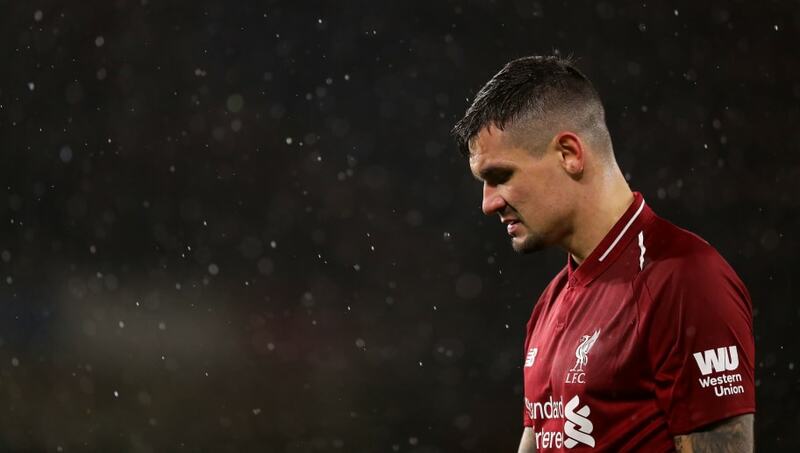 ​Former Liverpool striker John Aldridge has suggested that Reds manager Jurgen Klopp should consider replacing Dejan Lovren in the January transfer window. The Croatian defender struggled against Manchester City on Thursday as his side lost 2-1 to the reigning champions at the Etihad Stadium, a result which brought an end to their 20-match unbeaten run in the Premier League. ​Liverpool currently lead the standings by four points and have benefited considerably from the arrivals of big-money signings Virgil van Dijk and Allison Becker who have vastly improved the club's defensive record since joining. Yet despite spending over £130m on the pair, Aldridge has suggested that Klopp should now replace Lovren with another high-profile defender. Speaking to the ​Irish Independent, the former striker said: "This is not the moment for Liverpool to hit the panic button, but I would urge the club to consider making a move in the transfer market that could allow them to fit the final piece of a title-winning jigsaw into place. "Dejan Lovren was a weak link in the defence once again as Jurgen Klopp's men lost their first Premier League game of the season at Manchester City on Thursday. "I suspect the Croatian will need to be replaced sooner rather than later if this team are to turn potential into success." Referring to possible signings in the future, Aldridge singled out one player that he would like to see join Liverpool, revealing: "We have seen the impact made by Virgil van Dijk since his £75m arrival last January and I wonder whether a move for a powerhouse defender like Napoli's Kalidou Koulibaly could give Klopp's side the bit they need at the back." Koulibaly was highly impressive in ​Napoli's Champions League tie at Anfield in December and has thrived in recent years under the management of Maurizio Sarri and Carlo Ancelotti. The Senegalese defender's performances in Serie A for the Gli Azzuri this season has attracted interest from a host of European clubs with the likes of Real Madrid, Barcelona and ​Manchester United all linked with a move for the 27-year-old.